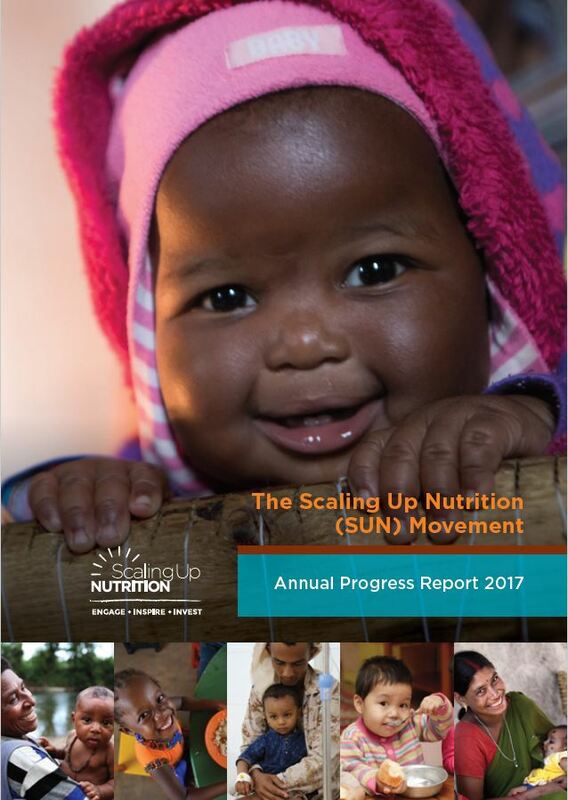 The SUN Annual Progress Report 2017 looks to highlight the progress made, through the voices of countries, states, networks and nutrition champions, and what lays in store for the upcoming year. More and more, nutrition is seen as a maker and marker of development – essential to the attainment of the Sustainable Development Goals (SDGs). The transformative 2030 Agenda is grounded in the ambition of leaving no one behind – an aspiration shared by the Scaling Up Nutrition (SUN) Movement. To this end, as per its 2016-2020 Strategy and Roadmap, all SUN Countries will, by 2020, be able to show to an equitable improvement in the nutritional status of all women, men and their families. Thank you to the thousands of supporters from SUN Countries and across SUN Networks who have contributed to the 2017 Annual Report. Share the 2017 SUN Movement Annual Progress Report with your network!